There is just something special about a classic piece of delicate jewelry that can be worn for many years to come. Styles and trends are often changing in the fashion world, especially when it comes to accessories. We’ve seen the big bauble necklaces come and go, chandelier earrings, big cuff bracelets, etc. But These pieces tend to stick around for only a season or two, maybe a year at most, but are on their way out as fast as they came in. When it comes to shopping and updating your wardrobe, if you want to get the most bang for your buck, then buying delicate jewelry is the way to go. These pieces look great with everything, and will be something that is still in style decades later. Classic, refined, beautiful “simple” pieces will always make the right statement, no matter where you are, or what your age even happens to be. 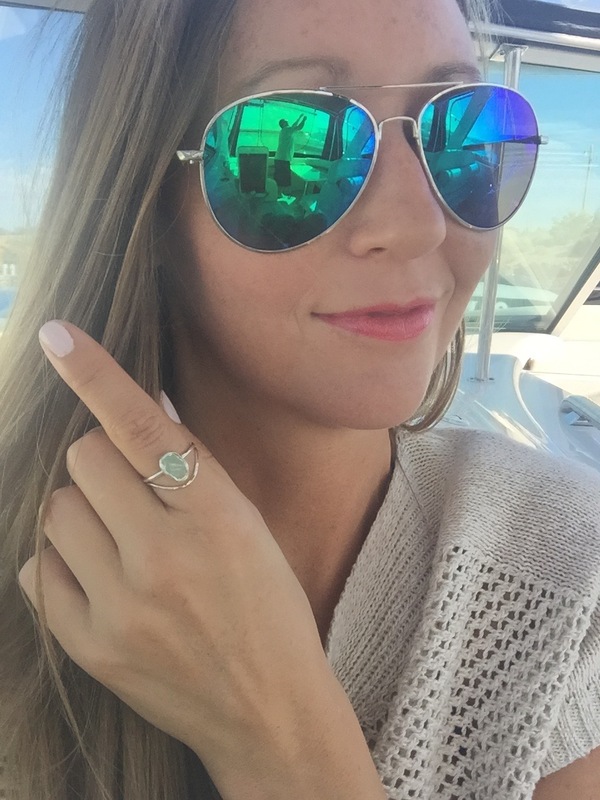 I recently came across Nikki Stark Jewellery and immediately fell in love. These pieces are handcrafted, uniquely tell a story, and are completely timeless. I love that you can find so many classic delicate pieces here that will fit into your accessories wardrobe seamlessly. These pieces are not your typical jewelry store find though. Although these pieces can be worn and lived in for many years, they are also very unique and still sure to make a statement. 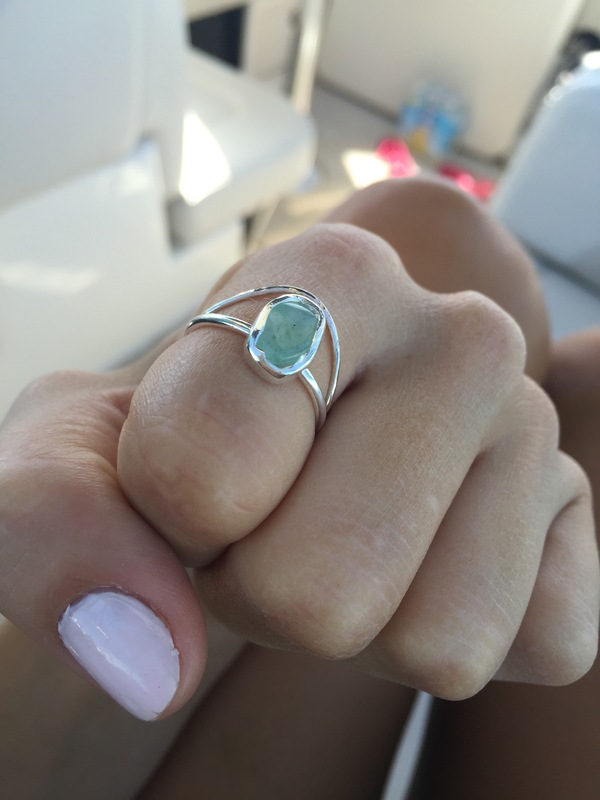 I recently got to try out a few of her beautiful rings, a gorgeous Aventurine Quartz gemstone sterling silver ring and a super fun rocking wishbone sterling silver ring. 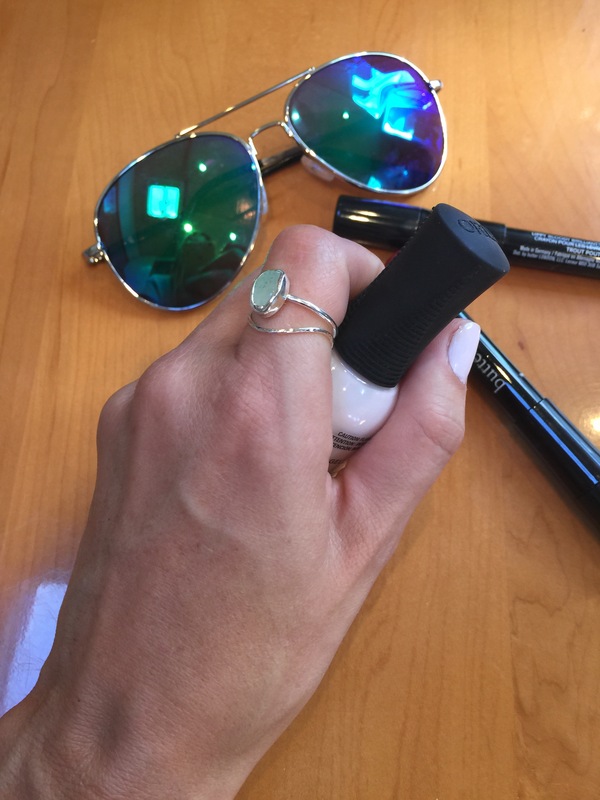 These rings look great on their own or even better worn together. When my rings arrived, I found they were a perfect fit. They are extremely comfortable to wear and instantly add style to whatever I’m wearing, even though they are not overbearing. Each ring feels sturdy and strong when holding in your hand. The rings, although lightweight, are high quality and will not bend, even though each ring is quite slim. The luminous Aventurine quartz gemstone has a very unique look to it that I absolutely adore. When you look into it. you can see pretty unique patterns of darker tints striping its way through the gemstone. The shape of the gemstone is also extremely unique in that it is not round or oval, or symmetrical in anyway. I love this. Usually any gemstone ring you find is perfectly shaped. This ring has so much more personality and is so much more interesting to look at, as you can see here. These lovely rings are just a few you of the beautifully handmade pieces you will find in Nikki Stark’s gorgeous jewelry collection. I’m personally eyeballing her chic sterling silver sail boat necklace and freya necklace in yellow gold. Each piece is truly exquisite and will look absolutely stunning with anything you choose to wear it with. Aren’t these rings fabulous? If you would like to shop the beautiful collection of necklaces and rings from Nikki Stark, then shop her site today at NikkiStarkJewellery.co.uk today! I am in love with this ring!! So cute. Great outfit! The ring is very lovely. I’ve been looking for some new rings! I’ll have to check her website out! I absolutely love that ring! Such a nice piece. 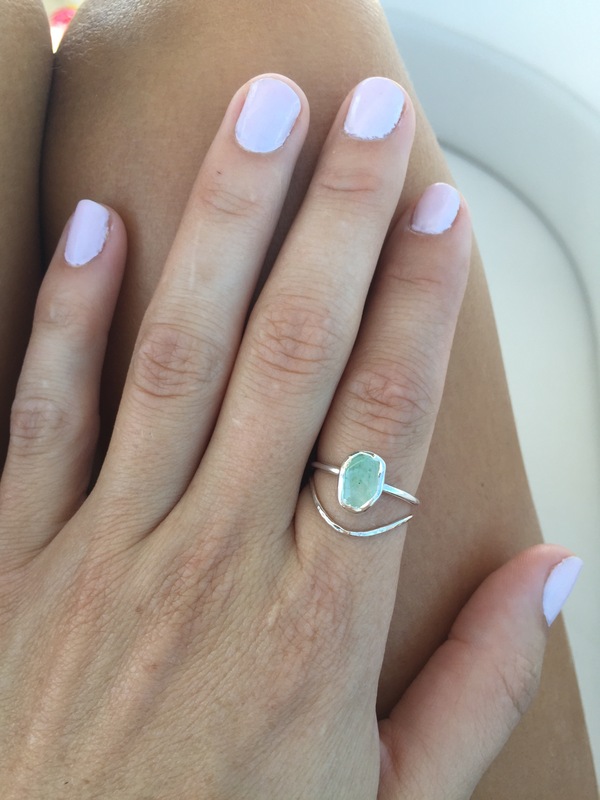 That ring is absolutely gorgeous, so simple and unique. I love the ring! Such a beautiful color, and the dual band design is unique! I admit that I am a jewelry”aholic”. I definitely have a weakness for it. I really love those rings. The artisan craftsmanship is superb and I would love to own them!